Welcome to the Affiliate Center for Schoola.com Here you can reference the program’s terms and stay up on important updates. Hi! We are Schoola. We run school clothing drives and sell preloved children’s clothes from your favorite brands (Gap, Gymboree, Tea Collection, Mini Boden & more) on our website for up to 90% off retail and free shipping on $50 or more. 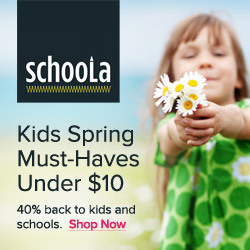 Schoola is looking for affiliate partners with sites focused on moms, parents, family, kids, clothes, schools, bargain hunting, deals and other related topics. Note, we only ship to US addresses.